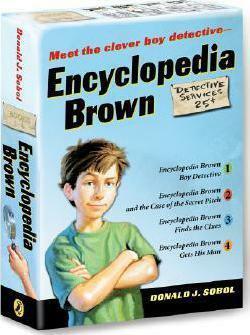 Perfect for aspiring sleuths--master crime-solver Encyclopedia Brown lets you crack the cases along with him! A set of the first four books in the classic mystery series starring everyone's favorite boy detective Encyclopedia Brown! Whether Encyclopedia is solving cases for his neighborhood friends or his chief-of-police dad, he always has an intriguing mystery to crack.